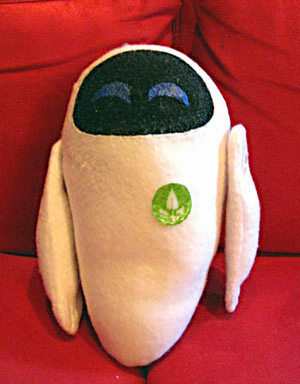 Wish I could make Wall-E, but I think he’s not as suited to plushiedom. that is the cutest thing evar!!! Thank you! Poor Adrian now has to listen to me say “eeeee-vaaaa” over and over. Too damn cute! Well done. :-) Lego Wall-E is perhaps next.